Jam and other products made by Hanamaki Agric HS - along with an ILC sticker! Starting in 2017, the Iwate Prefectural Government designated four high schools as “ILC Promotion Model Schools.” What does that entail? Well, not only does the prefecture hold seminars on particle physics for students at these schools, they also encourage education in international studies and developing new, ILC-related course work. This project aims to get students to apply their own knowledge and skills for getting involved with the ILC – even if that means something other than being a physicist! Students from these schools have already come up with projects to help out the ILC effort in the past. 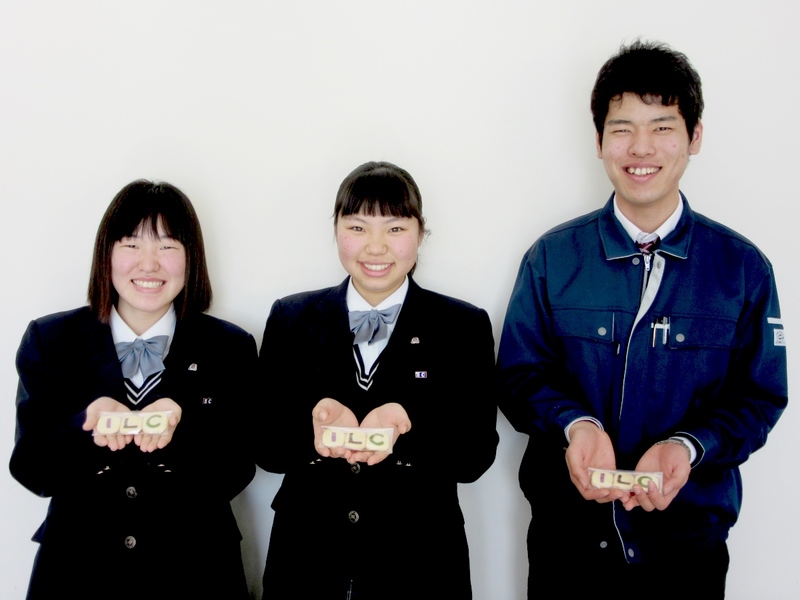 Hanamaki Agricultural High School created the famous ILC apples handed out at LCWS 2016 in Morioka. 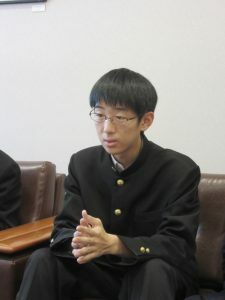 Ichinoseki #1 High School students have petitioned their city’s mayor to bring about the project. Mizusawa High School and Morioka #1 High School have also hosted many talks and presentations on the ILC. Students’ expectations are high that the ILC will become a hub of science and technology in the region, and will rev up development throughout Iwate. They truly are at a front row seat to history! 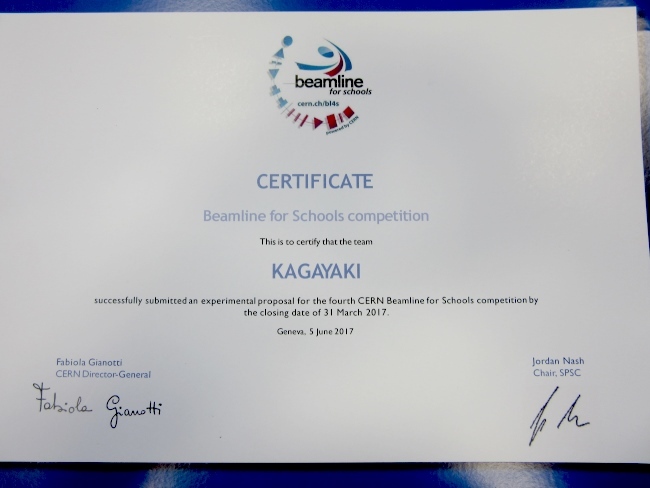 For the past five years, CERN has run a contest for high school students around the world to come up with a particle physics experiment to be run on a CERN accelerator beamline. 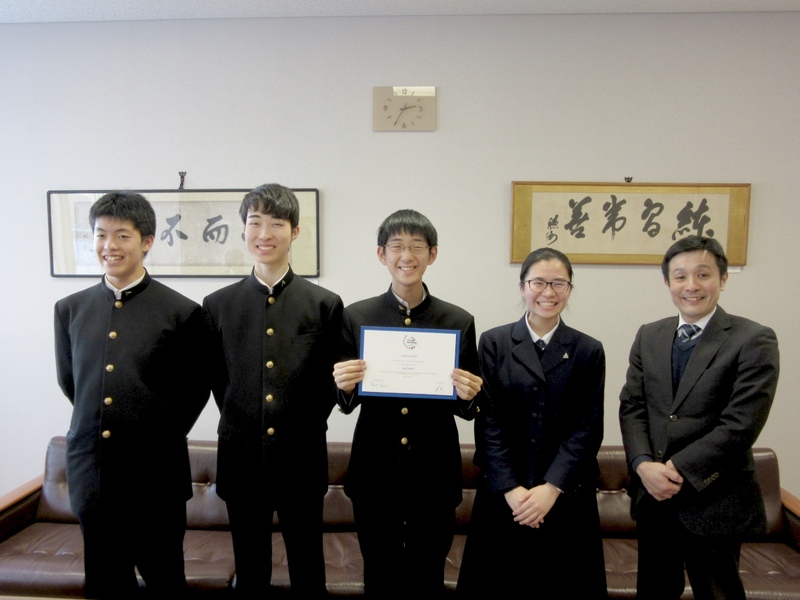 In 2017, the only school in Japan to enter the contest was Morioka #1 High School, and while they didn’t win, it was still a great opportunity for the students involved to learn more about physics as well as what it is to “do science” at the world’s most advanced particle physics lab. Their leader, Asahi Nakamuta, described their proposal. “By exciting atoms and getting them to emit light, we would make a man-made aurora, and learn the secret of the mystery behind the natural phenomenon. We thought that by changing how you excite the atoms, the shape of the aurora would change.” It was tough work preparing their proposal, as the students first translated all of the materials on CERN’s website into Japanese, and then had to translate their proposal into English – all by themselves. “But it was a good experience. Everyone had a good attitude and was having fun.” They named their group “Kagayaki,” which means “sparkle” in Japanese. On February 20-22, the ILD meeting for 2018 will be held in Ichinoseki City, meaning southern Iwate will once again welcome researchers, both foreign and Japanese, to the Kitakami site. Once students at Hanamaki Agricultural High School heard about this event, they knew they wanted to make some sort of gift for the visiting researchers. And what goes best with the ubiquitous coffee breaks during international conferences? Cookies, of course. 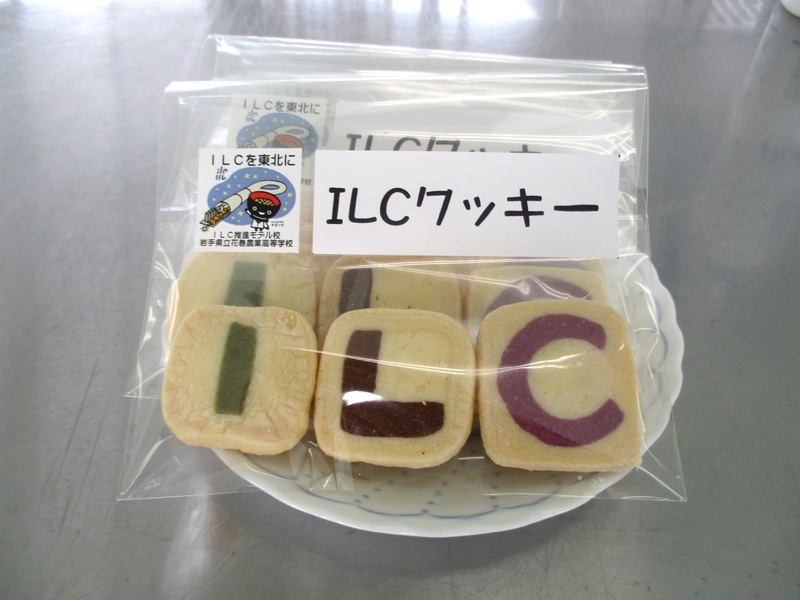 And not just any cookie – ILC cookies! “But the rice flour gives them a nice crunch,” adds Kamada. If the cookies get a good reception by the researchers, they’re hoping to sell them at other sorts of events to increase awareness of the ILC. “Before, I often saw promotions for the ILC on TV, but I honestly had no idea what they were talking about,” says Kamada. “But this year, after attending a presentation on the ILC for the first time, they said they made us a promotion school, and I kind of got a bit interested in it. I learned more by looking at the presentation materials, but it’s a lot of new information!” They both hope to continue to learn more about the ILC as they start their careers.